On Tuesday, Starbucks temporarily closed 8,000 stores in order to hold a four-hour racial bias training session with 175,000 of its employees. 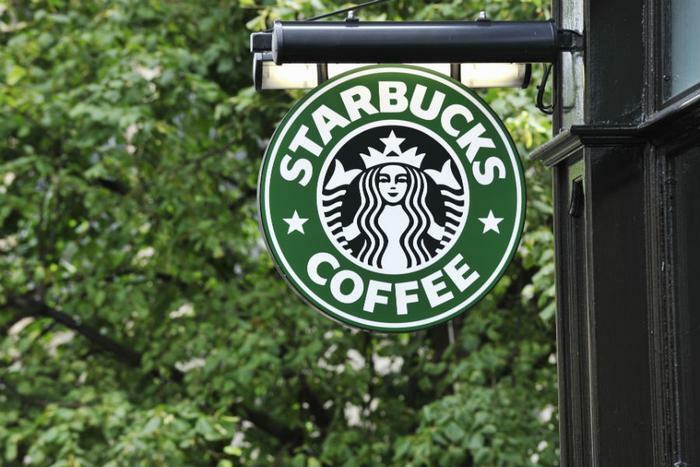 Employees were shown an eight-minute training video created by award-winning documentarian Stanley Nelson and underwritten by Starbucks. The film shows interviews of mostly young people of color describing their experience in public spaces such as restaurants and malls. "People assume you're doing something bad," and "I feel like I'm disturbing people or making them uncomfortable just walking in," and "It's not like I can mute my actual blackness, so everything has to be as perfect and clean and as blended in as possible” were among the feelings expressed. The film included several clips that have gone viral, like one of a passenger reacting to a man being dragged down an airplane aisle by officials. It focused heavily on clips of police brutality against black people, which made one employee so uncomfortable she had to leave. “The training materials focused a lot on police brutality, which had nothing to do with the incident that happened… At one point, a girl at my table actually had to get up and leave because video after video they showed black people being assaulted by police or black people being verbally assaulted and white people being racially biased toward people of color,” a Starbucks employee told Philadelphia Magazine. In addition to the film, employees were taken through small self-guided sessions that asked such questions as, "Recall when you first noticed your racial identity," and "... when you had a friend of a different race who regularly visited your home." The curriculum was released in full by Starbucks Tuesday night. Other employees had a different view of the workshop. Starbucks said it plans to continue taking steps to combat racial bias in order to prevent another incident like the arrest in Philadelphia from happening again. "We realize that four hours of training is not going to solve racial inequity in America," Starbucks Chairman Howard Schultz told CNN. Going forward, the trainings will be part of employee onboarding. 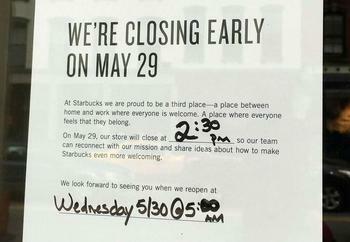 Starbucks also recently changed its policy to allow people who haven't made a purchase to spend time in stores or use the bathroom. Experts estimate that Starbucks’ recent racial bias training cost the company more than $12 million in lost profit alone.